Recently awarded the Best Anti Aging Treatment 2016 - the Ultraformer was commended at the My Face My Body Awards in a glittering ceremony at Sydney. 1. Excellent Results: It permits the doctor extreme control for customizing each treatment to the patient's needs. Which in the right hands, means more artistic, better, natural results. 2. Fast, single session, and totally painless. 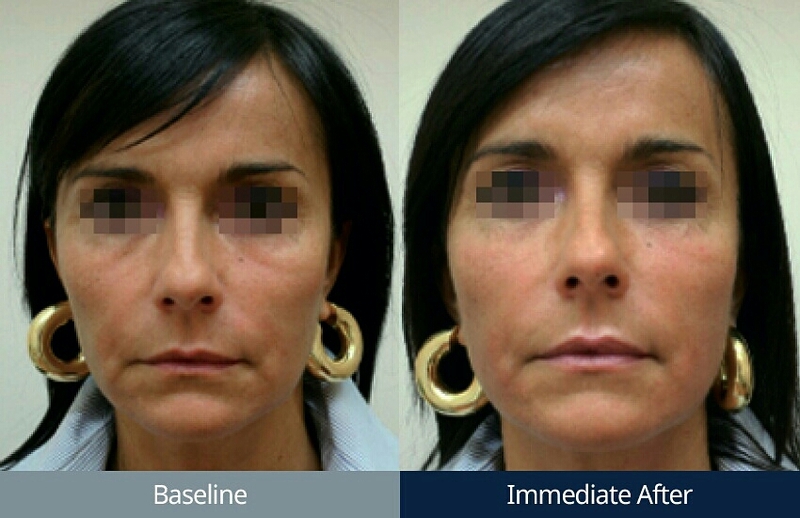 The UltraFormer uses highly focused ultrasound beams to tighten and lift. This is painless and significantly faster than all other similar tech. 1-2 sessions are adequate and last 1-2 years. Dr. Yadav has worked with the finest aesthetic tools over the years, including leading Monopolar, Bipolar and the so called Tripollar RF technology; fractional lasers and more. She has been a heavy user of Thermage, Exilis and other technologies - which she has now rejected, The devices we have at Juverne Clinic were picked for superiority over these tools. The UltraFormer is a powerful versatile tool, which in experts' hands can do magic. Available exclusively at JUVERNE. Call our team at 9910912141 to know more.